Seattle is bracing for a potentially historic snowstorm, forecast to hit the area on Wednesday. Snow has been falling in parts of Washington and Oregon since the weekend, but the forecast on Tuesday from the National Weather Service in Seattle is for larger amounts to arrive on Wednesday. 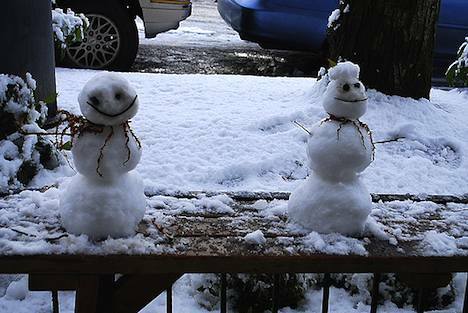 The Seattle area is expecting 5 to 10 inches of snow. Heavier falls are expected to the south of Seattle. Mountain passes are expected to receive between two to four feet of snow. The weather service issued a winter storm warning from Tuesday night to Wednesday night for much of western Washington. The Mayor Mike McGinn said in a statement, “With the possibility of significant snowfall, we are urging residents to be prepared”. The statement is accompanied by a set of recommendations, including bringing pets indoors and checking on neighbours, especially the vulnerable. Residents are being urged to find and clear storm drains, as heavy snow followed by rain can cause flooding. People have been urged to stay off the roads. By all accounts the roads are going to be dangerous. In Seattle, even a couple of inches of snow causes a lot of trouble for motorists not used to driving on snow and ice. Also, the city doesn’t have many snowplows compared to cities that regularly experience heavy snowfalls. I grew up in Seattle. In the old days, we might see snow once in ten years. Now it snows every winter. In 2008 the city had over a foot of snow and nary a snowplow. The mayor was fired. These people don’t get it. Weather patterns have changed, and it ain’t ‘global warming.’ I don’t live there anymore!